Greetings! The Strickland Family is staying busy with performing, practicing and some travels. 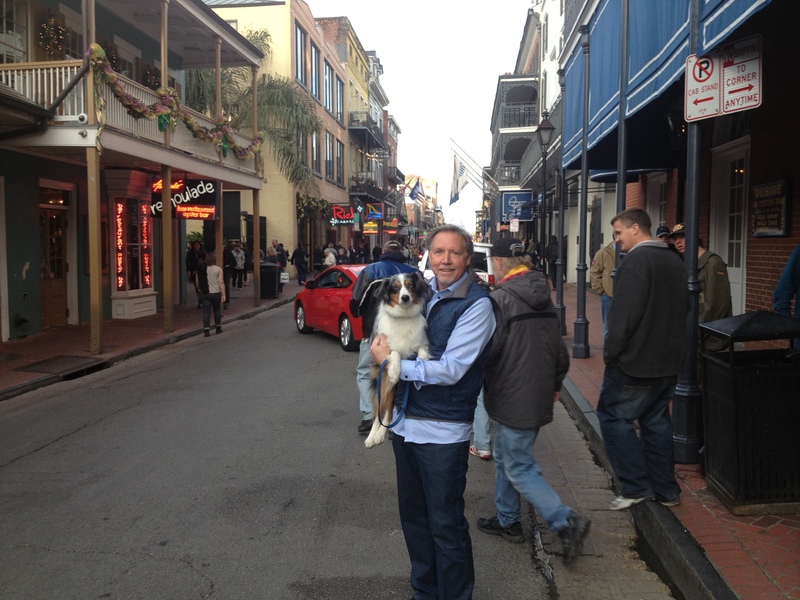 Here’s my dog, Bo and I in the photo on Bourbon St. in New Orleans. 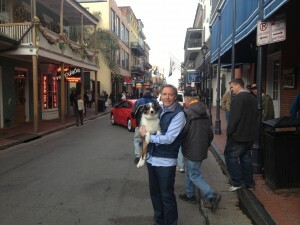 Bo even had a chance to sample some beignets and chicory coffee at Cafe Du Monde but he prefers fried catfish with red beans and rice.